In addition to the internal bacteria, flour has bacteria that are brought in by other sources during processing. 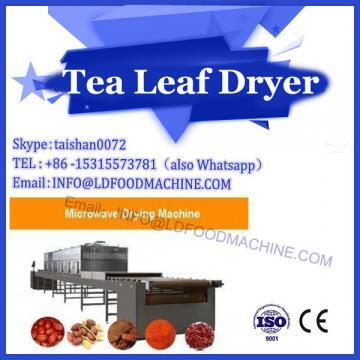 Due to the presence of bacteria, it will greatly affect the quality of food, leading to deterioration and corruption in advance, shortening the shelf life. Therefore, the microwave drying machinery sterilization process is an essential part of the flour production. (1) Microwave sterilization Microwave refers to electromagnetic waves with a wavelength of 1 mm to 1 m and a frequency of 300 MHz to 300 GHz. 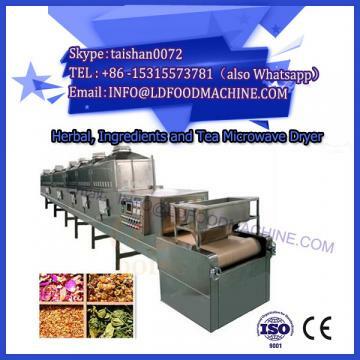 Microwave sterilization has the characteristics of short sterilization time, fast heating rate, low energy consumption, uniform sterilization, less damage and loss of food nutrients and flavor substances. The principle is that when the microwave acts inside the medium, polar molecules such as water, protein and nucleic acid will be violently oscillated by the action of the alternating electromagnetic field, and friction will generate internal heat, which will lead to an increase in temperature and cause the proteins, nucleic acids and other molecules in the microorganism. The structure is denatured or inactivated, and the cells are damaged and die. In addition, microwaves also produce non-thermal effects. Commonly used microwave sterilization equipment mainly includes box type intermittent microwave sterilization device, tunnel type microwave sterilization device, pressurized microwave sterilization device, and pressurized conveying type microwave sterilization device for hot water. (2) Ultra-high pressure sterilization on the material will cause microbial morphological structure, biochemical reaction, gene mechanism and cell wall membrane changes in many aspects, thereby affecting the original physiological activity of the microorganism, causing the original function to be destroyed or An irreversible change has occurred. Ultra-high pressure sterilization can better maintain the original nutrient composition of the material, and the processed food has a suitable taste, bright color and long shelf life, and the energy consumption of the whole food processing process is low. (3) Superheated steam sterilization (also known as dry heat sterilization) Spraying on the items to be sterilized by superheated steam at a temperature of 130 °C to 160 °C, the sterilization operation can be completed in a few seconds. The equipment for generating superheated steam has a convection superheater, a semi-radiation superheater, a radiant superheater, and an electric heating steam superheater, which is suitable for instantaneous sterilization of powdery granular materials. 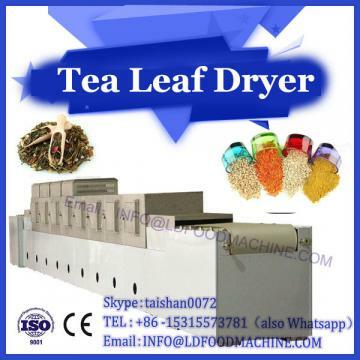 Commonly used devices include airflow superheated steam sterilization devices, high-speed agitated superheated steam sterilization devices, and tower superheated steam sterilization devices. (4) Ozone Sterilization Ozone sterilization technology is a non-thermal sterilization technology developed in recent years. Its sterilization characteristics and effects are excellent, and it has been widely used in the flour processing industry. Ozone sterilization has little effect on the quality characteristics of raw materials, and ozone decomposing products are oxygen, which will not cause pollution. The sterilizing equipment mainly uses an ozone generator to directly generate ozone by using air as a raw material, and has low manufacturing cost, simple operation, and high degree of automation control. At present, the packaging form of flour is mainly in bulk and bagged. In terms of production scale, shipping cost, and flour quality, bulk is more economical and reasonable than bagging. But for small-scale production, more bags are used. The bag is required to have the characteristics of moisture proof, mildew proof, anti-pollution, etc., and to ensure the shelf life of the flour. At the same time, economic costs need to be considered. Plastic woven bags, cloth bags, etc. are generally used, and high-cost multi-layer composite paper bags can also be used. The vacuum packaging is a package with a vacuum of 97 kPa to 100 kPa, which is actually a vacuum packaging. The role of vacuum packaging is mainly to exclude oxygen, which can inhibit the proliferation of mold and other aerobic microorganisms. Commonly used vacuum packaging machines include chamber vacuum packaging machines, belt vacuum packaging machines, rotary table vacuum packaging machines, and thermoforming vacuum packaging machines. Inflatable packaging has been developed on the basis of vacuum packaging by first withdrawing the air from the container with a vacuum pump, then introducing an inert gas and sealing it immediately. In the modern milling industry, the packaging basically adopts automatic mechanized electronic quantitative packaging equipment, but the equipment has high cost and is the mainstream equipment widely used by large and medium-sized flour mills. The small and medium-sized flour enterprises are basically still prepared by semi-automatic packaging technology. Flour is a material with low density and strong retention. The bag should be controlled. The bag should be vibrated before sealing. The package should be shaped after packaging to obtain a good appearance. The miscellaneous grain flour industry has great potential for development and market. However, at present, the domestic grain and flour production technology and equipment are backward, and there are not many related researches. Many of the techniques described above are applicable to the removal, dehulling and sterilization of cereal materials in order to improve the technical basis of the processing of miscellaneous grains and flour. It is necessary to strengthen the research on the properties of miscellaneous grains, to remove impurities, shelling, crushing, sterilizing and packaging of miscellaneous grains. The research, development and processing of the equipment provide a theoretical basis for the ultimate design and optimal operation of the grain flour processing.